Alright folks, it is that time again, time for you to test your 3D hunting skills with quite honestly one of the most realistic 3D shoots there is. With the TK scoring and the way we set the course, this will be the best replication of a true hunting experience, so you hunters, come out and test your skill. If you do not hunt, what better way to get a glimpse into a 3D event that will offer a whole new experience from any other 3D archery shoot. 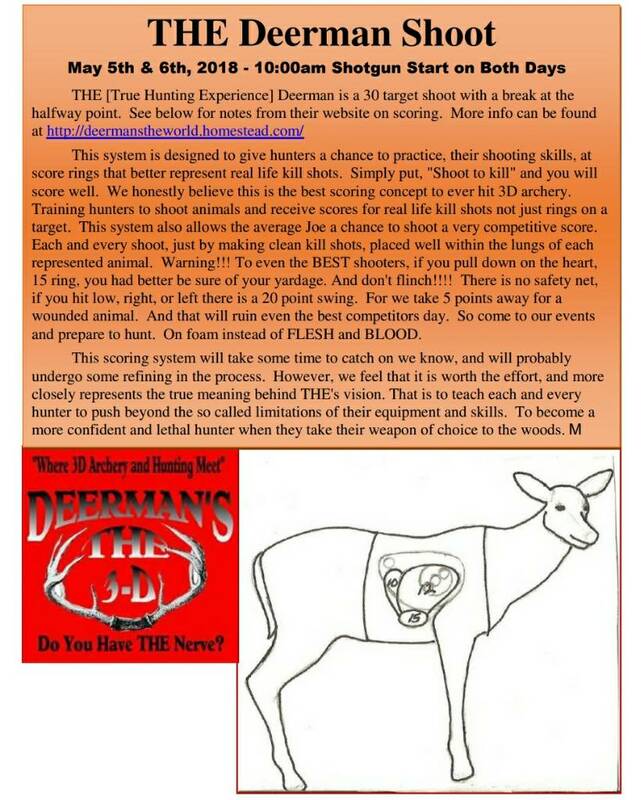 Shoot fees are $20 per shooter, per round. Weather also looks like it is going to be amazing as well, so come on out to Cowtown and shoot with us. You will not be disappointed. Thinking about doing this shoot but never competed before in one. What would I be getting into, you shoot one day or both and I take it no range finders? You shoot one day, either Saturday or Sunday. It’s two rounds of 15 targets. Same targets each round. Thirty arrows total. They do have one class where you may use a range finder on the second round of 15, but the rest are unknown distance. More info can be found here: the3d.org.